The kid’s was tired of eating chicken nuggets and sweet and sour chicken so I decided to grill the four chicken breasts that I had left in the fridge. I love grilled food and I could probably eat them anytime of the day. So if you’re craving for chicken tonight then grab the charcoal and start the fire. I have a gas grill and charcoal grill but I preferred the charcoal for so many reasons. It is up to you which one to use. 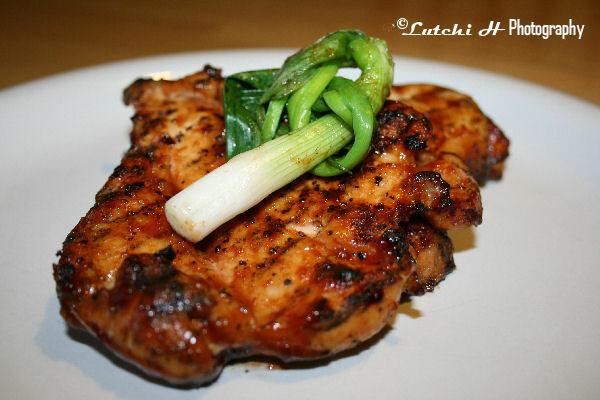 Prepare the chicken breasts an hour before grilling for spices to absorb for more flavors. 3. Sprinkle pepper and salt to taste. 4. Sprinkle McCormick Seasoned All in all sides. Set aside. 5. Grill chicken on a pre-heated grill for approximately 5 minutes on each side (or until the chicken is cooked and is no longer pink inside). 6. Brush each side of chicken with barbecue sauce and cook for another 2 minutes. 7. Grill scallion (optional). Enjoy! I ate my grilled chicken with hot rice and atsara (pickled papaya). I will post the recipe of the pickled papaya on my next post.